There's nothing quite like a fabulous historic home transformation to get you inspired. 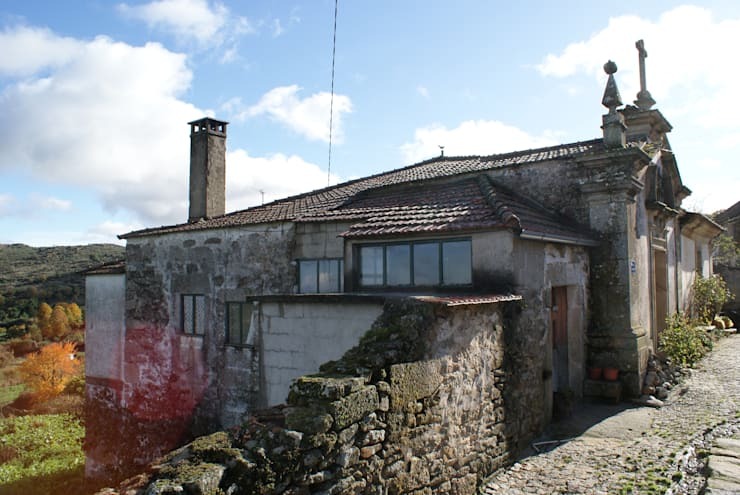 Today on homify we will explore a very special 18th century Portuguese stone home that received a very dramatic makeover. The original structure exhibited all the loving, time-intensive qualities of older style buildings. But although the old stonework was still strong and intact, the building had received a series of poor quality additions with incompatible materials that deteriorated badly over time. The interior structure needed to change as well. People tend to desire a closer connection with the outdoors from within their homes these days, so the home needed to have more flow and a more relationship with its natural surroundings. In response, the architects ADVD approached the project with a dual purpose in mind. They aimed to both restore the original building with a painstaking thoroughness and work to make it compatible with contemporary life. Come with us to explore the changes through a series of before and after photos. Enjoy! 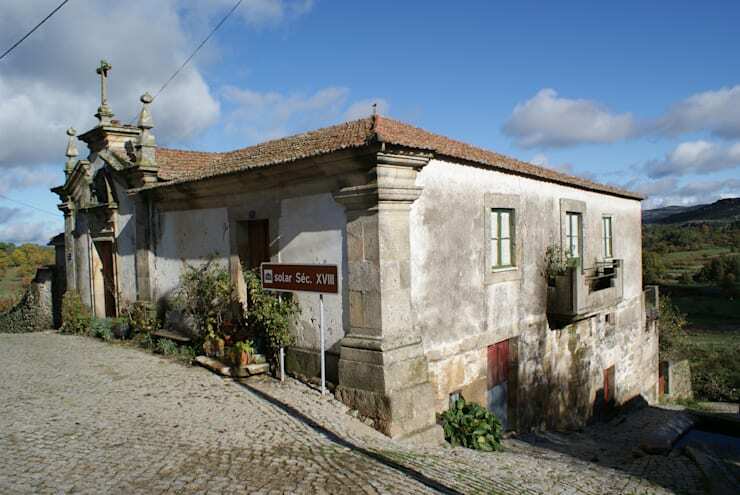 The beautiful 18th century stone facade as seen here was largely stable. 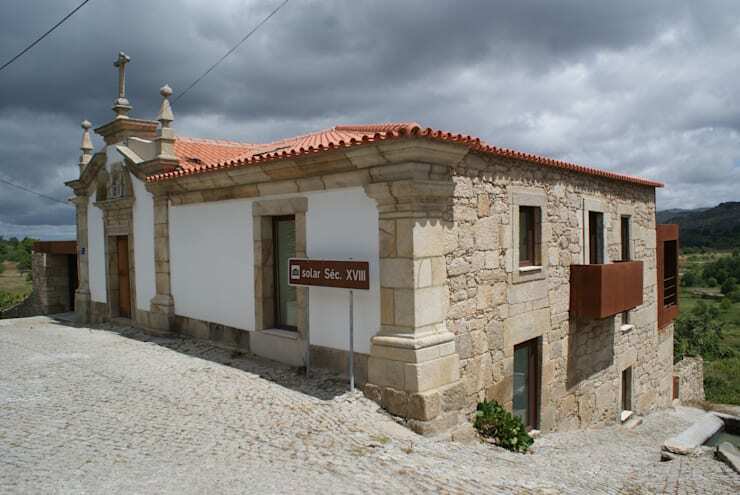 It's located on a steep incline and here we have a hint of the wonderful surrounding views. On the side wall, we can see the poor mortar plastering. This was not part of the original structure and the incompatible materials have aged badly. The newly refurbished facade granite masonry has fresh plaster at the front, a new roof and the side-wall is completely restored. Some parts of the existing granite-work needed to be dismantled so granite from the surrounding region was found with the same colouring, and rebuilt using the original construction techniques. It is easy to romanticise older buildings, but one must admit that the rear of the building was hardly designed to make the most of the location. Here we can see the beautiful, crumbling old walls, tiny windows and structural damage that seriously needed to be addressed. The change is undoubtedly striking! The most damaged areas were demolished and a large contemporary upper level of coated sheet steel was created. 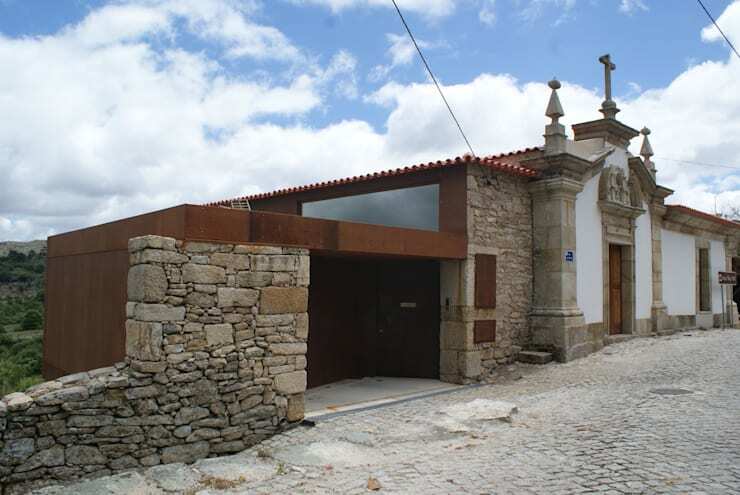 The metal structure is made from corten, a material that forms a reddish oxide layer when it is exposed to corrosive environments. This gives it an aged patina. The original granite as we can see here has been refurbished and three full-length glass doors have been installed on the lower level. Note the new exterior balcony on the far left of the building as well. Let's explore the other side of the facade now. Here we have a good sense of how the old and new elements have been integrated. The red oxide blends in surprisingly well with the soft old rustic stone as the lines and height mimic the original layout. A new parking garage has also been subtly installed and on the upper level we can see one of the large glass portals that allow light into the building. The interior entrance led to a series of pokey rooms. There was no central organisation and interior tended to feel like a series of very dark passageways. It was cluttered, small and claustrophobic. There was also little sense of connection to the natural surroundings. The entrance now leads to a central series of staircases that act as traffic points between the three levels of the home. 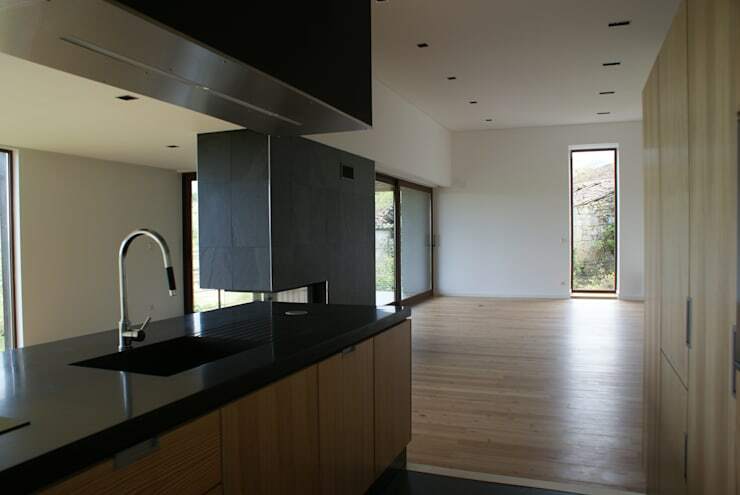 This allows for the main levels of the home to consolidate into larger, more space efficient areas. There is a cleaner, more rational sense of spatial organisation as well. The social areas are now separate and distinct from the private, sleeping areas. Let's not forget that the elimination of the passageways and interior walls also allows for a whole lot more natural light to penetrate the interior. On the kitchen level, we have the striking contemporary kitchen island and a sense of the bright, open spaces that have been created. Floor to ceiling windows and opening allow for glimpses of nature. 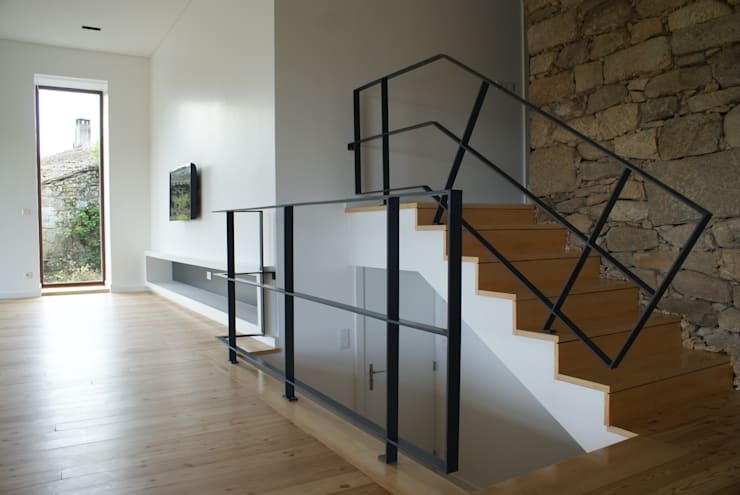 The natural timber floor and white walls add a contemporary polish to the space. Let's just enjoy the view for our final photo. 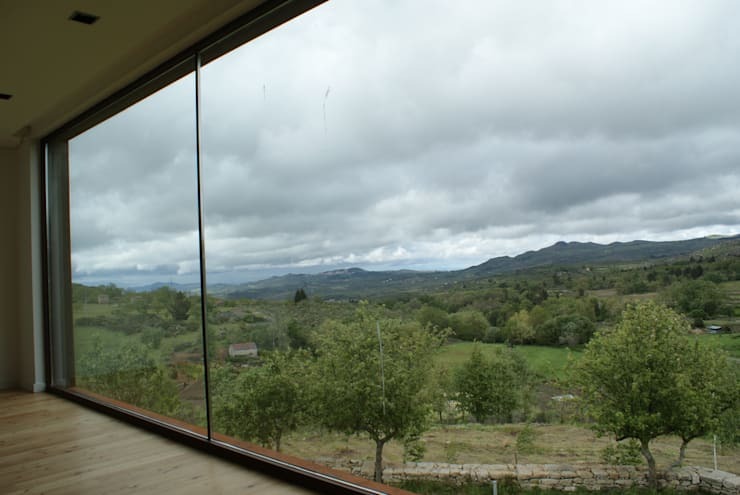 Floor the ceiling glazed glass windows or glass walls really immerse us in the rural surroundings. 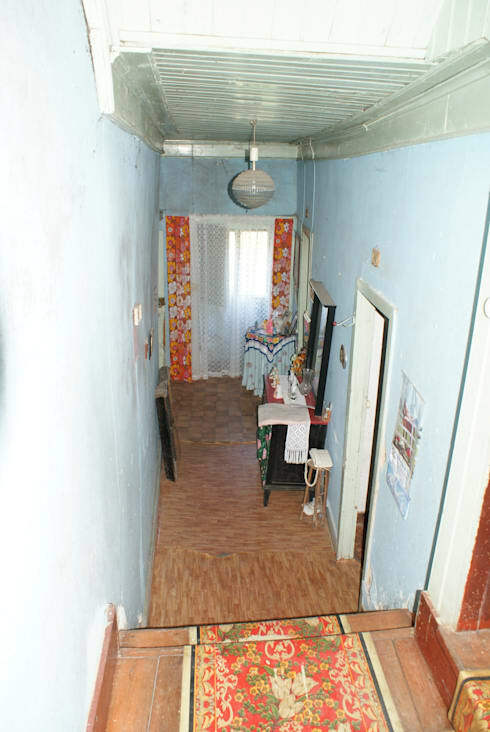 It's hard to believe that all this was once hidden by tiny curtains and tiny windows! If you enjoy how the old and new have been combined here, you'll love this Ideabook: The Brilliant Home of Old and New. 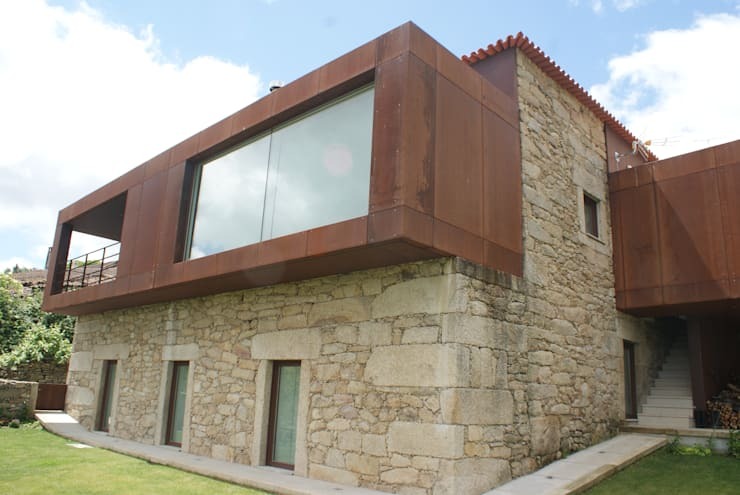 What do you think of the steel elements in this rustic home? We would love to hear in the comments below.